A man has appeared in court accused of being in control of a drone which was seen flying over Edinburgh city centre last Summer. 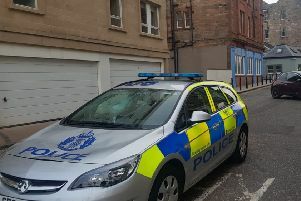 David Louden, from Musselburgh, is alleged to have flown the unmanned surveillance aircraft over and within 150 metres of the capital’s Cockburn Street last July. Louden, 31, is also said to have disregarded regulations concerning flying drones by operating the aircraft within 150 metres of a congested area. The case against Louden called at Edinburgh Sheriff Court today and defence solicitor Euan Gosney asked for a continuation without plea.